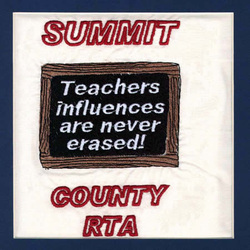 The Summit County Retired Teachers Association was formed in the early 1950’s by combining the Akron Retired Teachers Association and the Cuyahoga Falls Retired Teachers Association and inviting all retired teachers in Summit County to join. The chapter meetings were held in South High and East High Schools in Akron, Summit School’s Federal Credit Union, the Cathedral of Tomorrow in Cuyahoga Falls, and the Tangier Restaurant in Akron. SCRTA meetings are now held at Guy’s Party Center in Akron. An Honor Fund was established in 1983 to financially aid retired teachers. A scholarship fund was established in 2004 for relatives of members. The Summit County Chapter of ORTA has four meetings a year, with the board of management meeting at least five times a year. The chapter takes two one-day trips per year. We urge all active and retired teachers in the Summit Co.area to join us for fun and fellowship as well as service to our community.